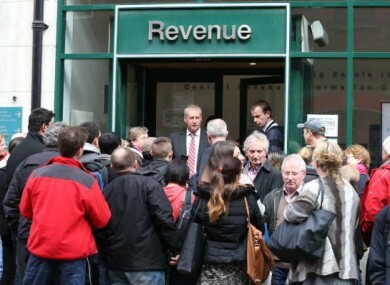 MORE THAN 7,300 homeowners across Ireland have had their property tax upwardly revised. This is since the charge was introduced in May 2013 is down a combination of self correction and revenue challenges. Revenue challenges occur when the value of their home outstrip the levels of adjustment allowed. According to current rules property tax is assessed by the value of a house in May 2013. If a house is seen to have been correctly valued – then its rate of property tax would remain in place for three years until May 2016 regardless of whether somebody buys the property. At current homeowners are allowed adjustments of 15% outside of Dublin and 25% within the capital without clearance from the Revenue. In various areas around the country house prices have risen by more than the Revenue’s set parameters since May 2013. According to the most recent Daft.ie sales report the average price of a one-bedroom apartment in central Dublin rose by 27.4% in 2014 to €162,000. In Galway city and Cork city there were also increases beyond Revenue’s set parameters, with prices going up by 25.6% and 23.6% respectively. In our experience where properties have been disposed of, the valuations provided have, for the most part, been fairly and honestly made. If a property owner has genuinely overpaid the tax through an error or mistake concerning the property’s value as at 1 May 2013, he/she can submit a claim to Revenue, clearly explaining how the error or mistake occurred, and providing supporting documentation. “If Revenue is satisfied that the person did genuinely overpay their LPT, it will be offset or refunded, provided the owner’s tax affairs are up to date,” they concluded. Email “More than 7,300 properties have had their property tax increased ”. Feedback on “More than 7,300 properties have had their property tax increased ”.